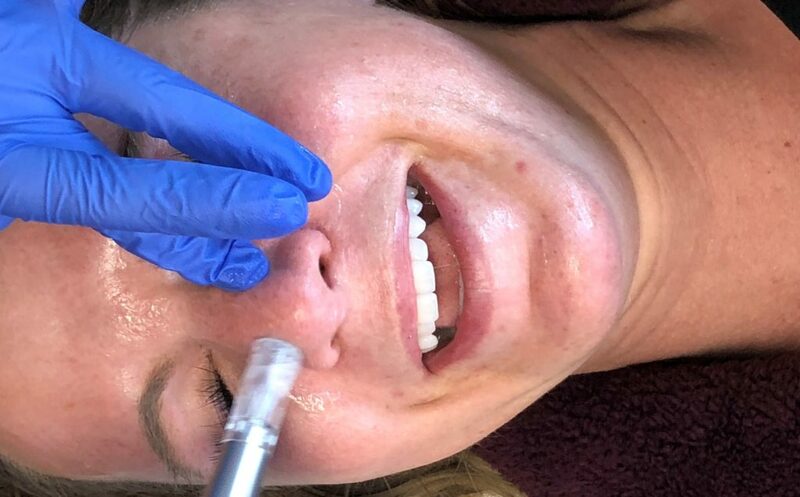 All Mom Does, Vlogger, Stephanie was curious about the microneedling treatment. She’d heard of it, but not enough to be compelled to try it. She came into Studio and documented her microneedling experience. Her natural enthusiasm shines throughout the video! Check out her vlog to watch her entire experience. 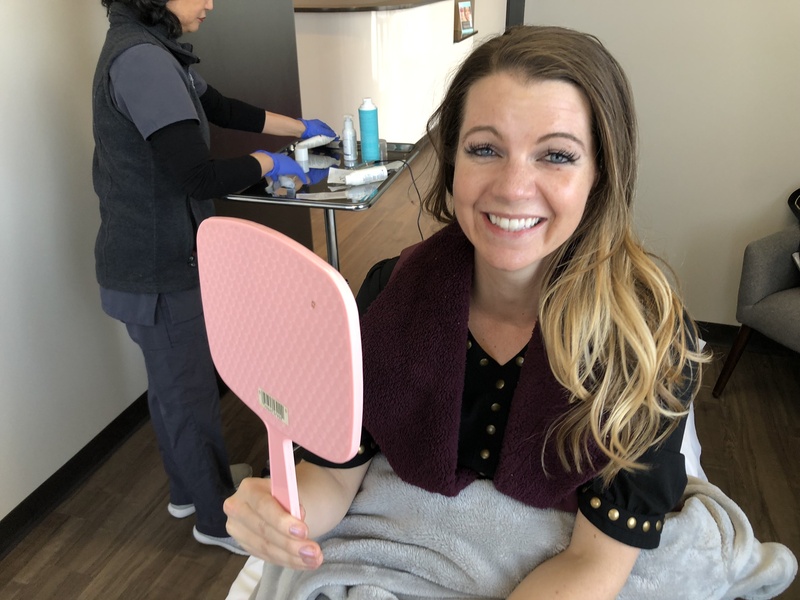 In addition to describing the benefits of microneedling, Stephanie’s vlog captures her genuine experience. It follows her from the moment she enters Studio, to her topical numbing, to the day after (where she explains that she can continue her morning exercise routine). 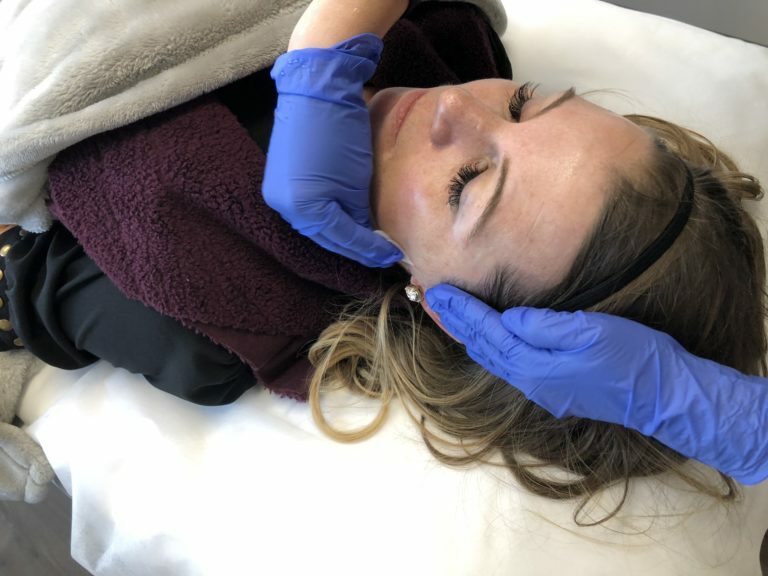 You’ll also see in Stephanie’s video that although the treatment may sound like some ancient torture, it’s actually pain free, and even a tad relaxing, EXCEPT when getting treated around the nose area (where Stephanie felt ticklish from the vibration). 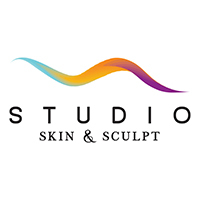 At Studio, we use medical grade topical numbing, which makes this treatment comfortable for our clients. Let us know what you think of the All Mom Does vlog! 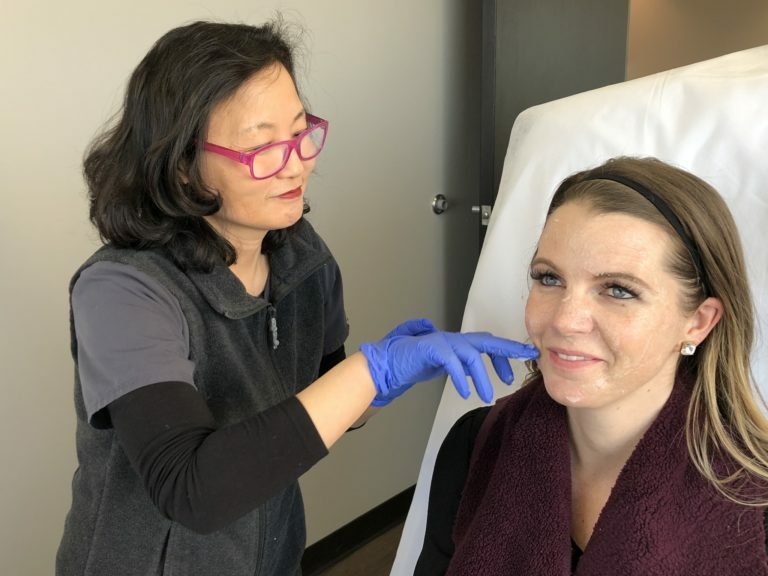 We loved meeting Stephanie, educating her about microneedling, and answering her many questions about the treatment. If you watch her entire video, you’ll also learn that AFTER microneedling, she was able to pick up her normal routine, including exercising. DAY OF TREATMENT: It’s common to feel like you have a sunburn (after the topical numbing wears off). THE NEXT DAY: We recommend using mineral makeup (if you wear makeup) because it doesn’t harbor bacteria. Avoid the sun for at least a week after your treatment, and then continue wearing sunscreen. Better yet, don a hat too! Medical grade Lidocaine makes microneedling comfortable. Ensuring the face is extremely clean before commencing. Smiles! Optimal results in a month. You’ll be glowing from all the new collagen.